...Mostly, riding the bus...and other thoughts on alternatives to one person in a car. I have not posted anything to this blog in many months. Kudos to Asheville Transit for finally putting bus stops on the section of Brevard Road that runs between Haywood Road and Interstate 240. This is a neighborhood of many city blocks, and bus stops should have been in my neighborhood long ago. In May, Ken and I visited my daughter Kimzey in Zapopan, Jalisco, Mexico. Zapopan is a city of a million people; it's right beside Guadalajara, a city of 1.5 million. Getting around in the area was very easy...partly thanks to Kimzey, who already knew the bus schedules, fares, etc., and how to negotiate with taxi drivers. But partly because there is a wonderful bus system there. For the week that we were there, we either walked, rode the bus, or occasionally took a taxi. There are so many buses in the area...city buses and privately run buses. You never have to wait long for a bus. I preferred riding the bus to taking a taxi. Those taxi drivers drove fast and no seat belts were required. I was usually terrified when I was in a cab. The drivers were nice enough--they just liked to get places fast. And there was so much traffic. Not only were there lots of buses within the city, but it was easy and cheap to travel by bus through the countryside, to outlying towns. We made three day trips by bus to Tequila, Teuchitlan and Chapala. We had some interesting bus experiences. It's common, we found out, on the bus trips out of town, for people to jump on the bus selling snacks. This happened at many of the stops. Sometimes they had candy bars and pre-packaged snack foods. Other times it was cut up fruit. And on one of the trips...I think it might have been to Teuchitlan, two little boys got on the bus. They stood up by the driver for awhile; then several miles down the road, they moved to midway in the bus and started singing! They sang three or four songs, then held out their hats for money as they exited the bus. Then a guy with a guitar got on and sang and played for a few miles. Then another couple of kids got on and sang for awhile! We seemed to be the only American tourists on the buses there. Everyone seemed quite used to these vendors and buskers. Coming back from Tequila, I noticed that it seemed like we were stuck in second gear...out in the middle of the countryside...We stayed in that straining mode for awhile, till the driver finally gave up and pulled off to the side of the road. We had a bus full of people, but no one seemed in the least bit annoyed. (And it was not because all these folks had been touring the Tequila factories, either! Like I said, I think we were the only tourists.) So we sat on the side of the road for 15 or 20 minutes, and another bus stopped for us. We climbed through the scrappy weeds to the new bus, which already had a fair amount of passengers on it. The driver helped the ladies, if we needed it, and we got on our way. No bitching and moaning. Very peaceful...I did not hear one complaint. I was pretty amazed. Another time that I didn't hear any complaining was riding the MacroBus in Guadalajara. This is a special bus...it's faster and has its own lane has multiple doors, more like a subway design.You catch it from an elevated platform. Here's a link to an article about it: http://thecityfix.com/guadalajara-gets-greener-with-macrobus/ Anyway, there seems to be no limit to how many people can squeeze in. I have never been so jam-packed into any bus or subway. It was crazy. But no one was ill-tempered. I was a little worried when Kimzey and I got separated and I lost sight of her and didn't know where the stop was that we wanted. But it all worked out. We did ride the subway once in Guadalajara as well. It was fine, but doesn't seem to go to very many places. All that bus riding for a week made me wish the Asheville buses went to more places and came more often! Let's keep telling the city that this is what we want! I have ridden the bus only sporadically recently. A few weeks ago, my son and I rode it into town. A few memorable things about that ride (besides getting to hang out for a few minutes with my son): Riding a route that I had not taken before...I forget the number but it's the bus that goes down Montford. Nathan had left his vehicle at an apartment there and we were going to pick it up. We also had to get a transfer, which was the first time I had done that. Very simple. But, when we got to the transit center, we actually had to go inside to find out which bus we needed. Nathan wondered why there are no schedules posted outside. Good question! No schedules posted inside the buses either. Two suggestions for Asheville Transit...very cheap to do and would help riders. I rode into town with Nathan today to Asheville Brewing on Coxe Ave. to hear his friend Jenna playing music. After an hour, we went our separate ways. I walked over to Amazing Savings to do some bargain hunting. I had planned to ride the bus home. So I had to be very careful at the store to get only enough groceries to fill up my two cloth bags, because I knew I could carry no more than that...and that there would be a half mile walk home once I got off the bus in West Asheville. So I really wanted a watermelon or canteloupe, but that was not going to happen! I filled up my two bags. They were a little heavy, but I'm in good shape and the bags were strong. I wasn't sure where the nearest bus stop was, but didn't want to stand around in the 90 degree weather in the hot sun to find out. I knew there were several stops on Clingman so I walked there. The first stop on Clingman was maybe a tenth of a mile away, but it was in the sun and the bus wasn't due for 15 minutes or more. So I walked another tenth of a mile or so down to the next stop where I knew there was shade. This spot might be the prettiest bus stop in Asheville. See what you think. While waiting at the bus stop, I heard baby bird noises and started looking around. In a small oak tree nearby, two mockingbirds were feeding their babies. This was the definite highlight of my bus trip today! Didn't get a picture of the parents, but here is a fuzzy picture of the babies. The ride was pretty routine. Nice to see that there were two bikes on the bike rack. It was a hot walk back to the house carrying groceries and I had already walked a bunch of miles today in the heat. But good exercise. I started this blog in September of 2008, when gas hit $4/gallon in Asheville, and lots of stations had no gas. I started riding the bus quite a bit then and enjoyed it. I became a little more conscious of my driving habits. Then I got a different job a year and a half ago, and the place where I work isn't on the bus route. I still walk places around West Asheville...but I jump in my car, alone, an awful lot. I got complacent. Gas got cheaper. With the crisis in the Gulf right now, seems like another good time to concentrate on how we get from here to there. I am feeling so sad and helpless about what is going on, but there is one thing that is somewhat under my control, and that is how often I get in my car, by myself, and drive somewhere. So I was just thinking, could we each one make a commitment -- just once a week, instead of hopping in our car for a trip, to try to take public transportation, walk or bike? Or, just not go on that particular run to the store, etc. Please let me know how this experiment goes for you...if you want to email me a paragraph or two about it, I'll post it here on the blog. Or if you want me to interview you about it, I'll do that, and write and post it. Please consider doing this...if you want to try this experiment more than once a week, more power to you! This particular link that I'm posting is more ambitious. It says that we need to cut our average daily driving miles by 5.4 miles. 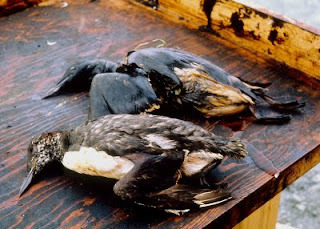 (It was written when the top-kill BP solution was thought to have a chance of working, so is a little out of date as far as dealing with the Gulf disaster goes.) The article says that only 20-30% of the average American's car miles are devoted to getting to work. The rest of those miles are for shopping, socializing, errands, etc. Doesn't it seem odd, that in spite of the devastation in the Gulf, gas prices have gone down? I think it is very important to oil companies that we consume, consume, consume. Until our habits change, we are never going to get funding for public transportation, green energy sources, etc. We have got to demand it, and learn to walk our talk. It will be very difficult. We haven't been asked, seriously, as a nation, to tighten our belts, conserve, since when? World War II? Be sure and check out the youtube video. There just aren't that many songs out there about public transportation! Have fun! But don't worry, I'm not asking for a ride. Some people hate the bus. Not me, I can't get enough. Some people live in the fast lane. Not me, I take the train. Train or bus, they're both amazing. It's a long journey but there's a lot to see. The view alone is worth the fare. I use my phone as an alarm clock. Bus and trains don't go that fast. Our sympathy goes out to all involved in the recent bus accident. I did learn something from this news article that I didn't know--that the drivers aren't city employees, but are from a company the city contracts with. Interesting. Now the bad new: The bus shelter near Fuddruckers, which had been built by volunteers, was dismantled at the restaurant's request. So all you folks who want to wait for the bus on Charlotte street and stay dry, you're just out of luck. But you'll probably be able to smell all that expensive cow cooking. Former councilman Carl Mumpower says "decapitating" the bus shelter is moving in the wrong direction for a city that claims it wants to increase bus ridership and, for once, I agree with Mumpower. The wonderful covered bus shelters throughout the city were his Top-A-Stop project, and a very nice one at that.